Ever since Ustream introduced the world to the shiba inu puppies a few years ago, we’ve all gone baby animal web cam crazy. The spring of 2011 has been dominated by raptor cams, especially eaglets and (hawk) eyeasses. But, some mammals have gotten in the mix, with bears, elephants and, yes, that same shiba inu breeder. There’s no Nielsen of live webcam videos (yet), but here are the rough rankings. Three eaglets on a windswept nest near the Decorah Fish Hatchery. 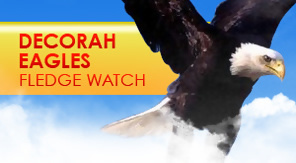 The Raptor Resource Project has been helpfully keeping their diary and video highlights, too. Sadly, Rob McIntyre, the president of the group, died of a heart attack helping clean up after a recent tornado. 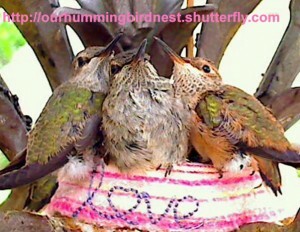 The youngest hatched April 6 and they now all have feathers, but haven’t left the nest. Fun to have on as a kind of nature soundtrack even when there is no cuteness or gore. 30 second ads before you can see the live cam, 15 seconds for the highlight videos. Bear biologist Lynn Rogers runs the North American Bear Center in Minnesota, where you can see bears from platforms or take week-long classes on bear life. 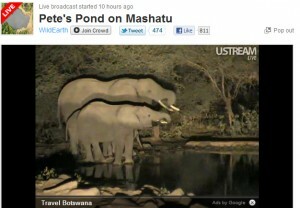 The Ustream camera focuses on three bears, Ted, Honey and Lucky at a pond. Hundreds watch even when there’s no action. 3. Wildlife Center of Virginia Orphaned Eaglets 150,000 viewers at one time. Tens of thousands of people were already keeping their eyes on a nest of bald eagles at the Norfolk Botanical Gardens. They hatched March 13-17. Then on April 26 a plane struck and killed their 15-year-old mother. The father tried to carry on feeding them, but biologist thought he could never keep up, so they took the eaglets to the Wildlife Center of Virgina. The cam has been so popular it’s helped boost the center’s chances in a community grant contest. The first day they cam was up, 30,000 people tuned in and crashed the center’s site. Now it’s hosted on WVEC, though stats aren’t offered. 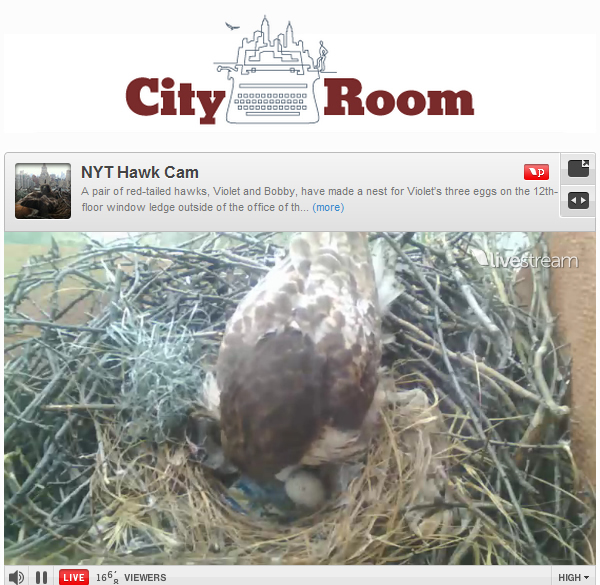 Right on Washington Square Park, a hawk pair built a window sill nest that the New York Times is broadcasting live. There’s been plenty of drama. The mother has a swollen, constricted foot. First they thought it was a fishing line and contemplated a dramatic window sill capture by New York City’s premiere wildlife rehabber Bobby Horvath. But it turned out to be a bad band and they decided to let her be. The Times uses the off-brand LiveStream, which calculates viewers in a completely different way. The puppies that started it all are still enduring hits. It’s like American Idol: either you love it or you can’t believe it’s still on. I believe its views are cumulative over several years, so I am discounting them. A pair of barn owls moved into a nest box just two weeks after residents installed it. Incredible to see the teeny babies of these tiny birds. The mother’s second year near Laguna Beach. A rooftop stork nest viewed from St. Anton Church in Warszewo, Szczecin, Poland. A family of elephants drinks at the Mashatu Game Reserve in Botswana, Africa. WildEarth runs the cam (which has lighting) that Geographic’s wildcam started. This is one of those odd Japanese fascinations I don’t really understand.